Leaving unsecured and potentially comprising documents exposed can dangerous	at worst. Thankfully, you don’t have to worry about the best way	to secure your business’s classified information. Our professionally	trained document security experts are well versed in all forms of document	destruction. Not only do we comply with HIPPA and Tennessee and Georgia	state laws, but our document destruction services can help prevent fraud,	identity theft, and potentially uncomfortable ramifications. 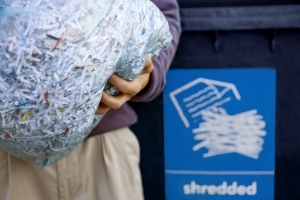 With our secure on-site destruction equipment and exceptional customer	service, you can rest assured that your documents will be destroyed and	irrecoverable when you hire River City Shredding. Call (423) 805-6070 for more information!